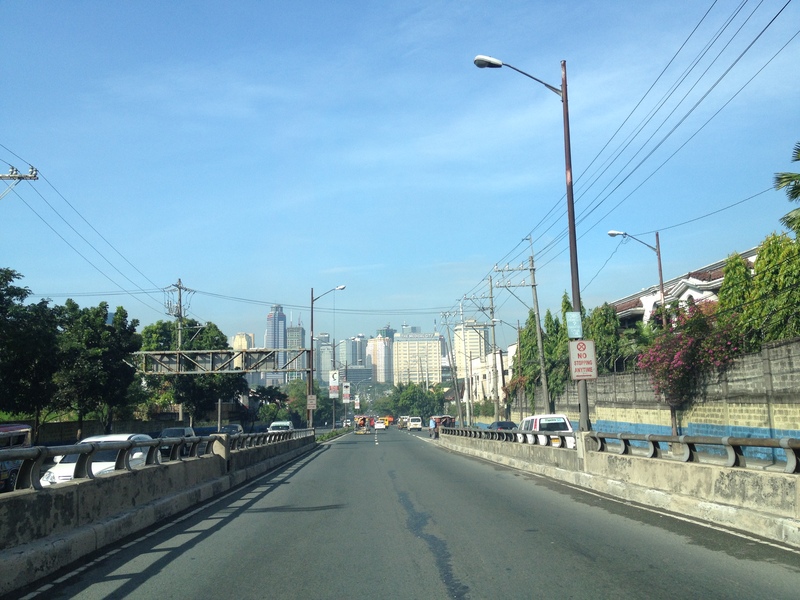 I have spent my impressionable years in Manila, so there are images of the city that are forever etched in my mind. However, being away for long, those images of the city when I was growing up, may not be the same anymore. There are constructions everywhere I look. The old neighborhood has been changed with high-rise buildings and condominium complexes. This has altered the landscape of the city I used to know. You may argue that this is a sign of progress. Or is it? 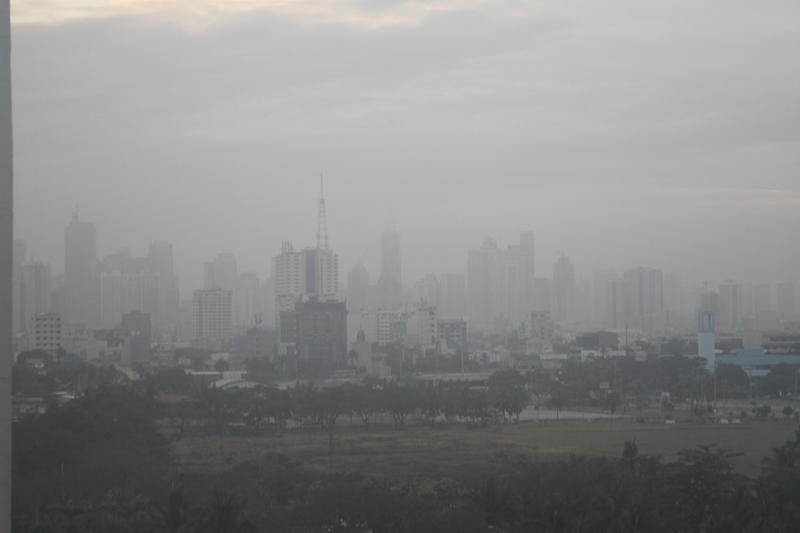 Here is a ghostly image of the Manila skyline in the morning haze. Or in a more blunt term, in the polluted morning smog. Even the bay area looks different. For one, with all the land reclamation projects, the sea has been pushed farther and farther away. 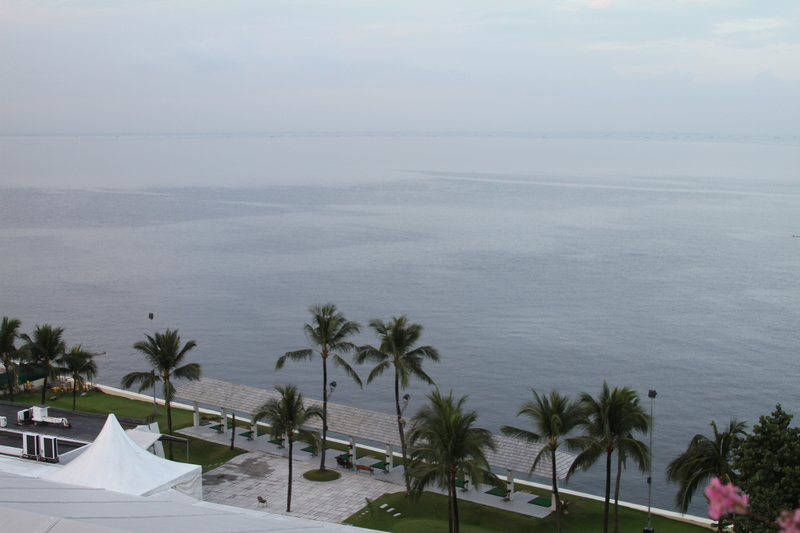 Believe it or not, this is Manila Bay. It looks pristine and inviting, at least from the distance. Though I wouldn’t dare take a dip on it still. Many of the roads and passageways I used to go to, also looks different. Of course the traffic is the same if not even worse. But instead of posting a gnarled-up traffic scene, I decided to post a picture of a widely open road for a change. It is more refreshing, isn’t it? Even my old stomping ground, shows signs of progress. 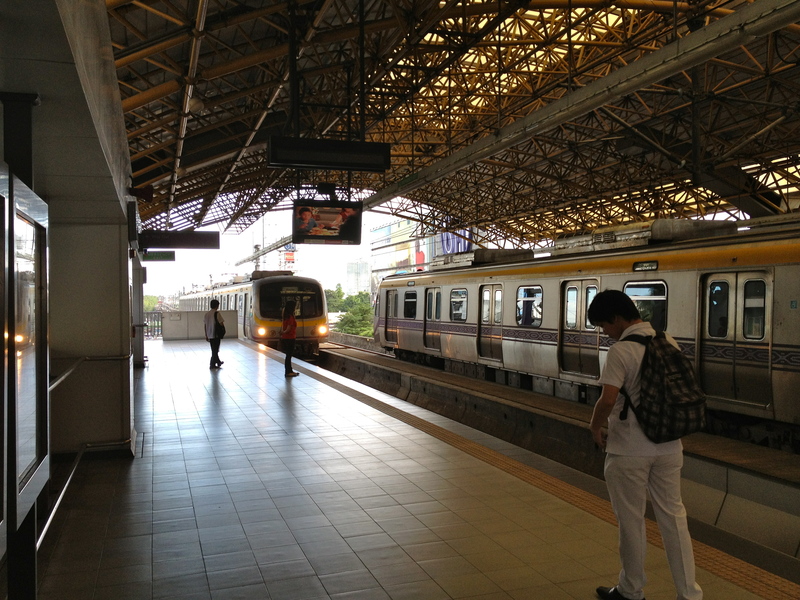 Here is the Metro Rail Transit (MRT) station in front of SM City Santa Mesa. This mall, which is formerly known as SM Centerpoint, had just opened when I was in college. Having lived near Santa Mesa, I frequented this place a lot, though the MRT was not there yet at that time. I got to experience to ride the MRT and the LRT during my last visit, which I believe is the best way to travel through the metro, as it is faster and mostly unaffected by the unpredictable Manila traffic. 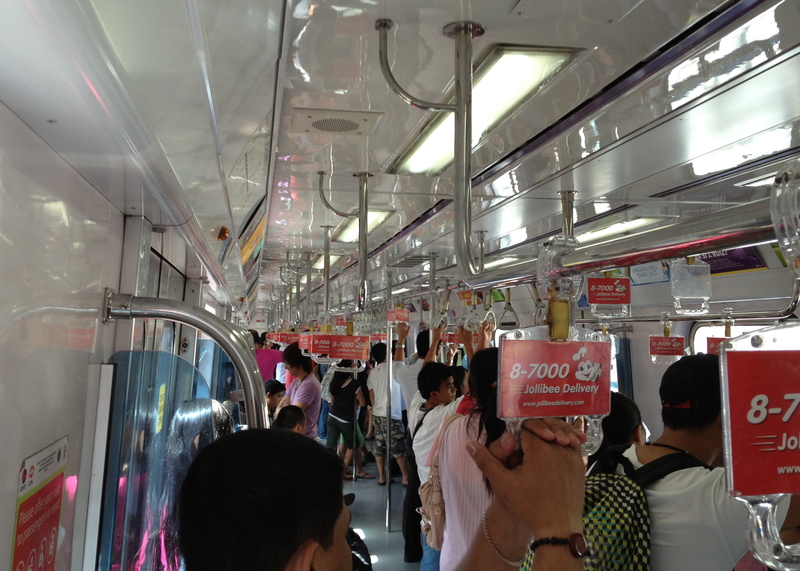 The trains can be very crowded though, especially during rush hours, that you can almost exchange faces with the passengers beside you. Of course, I also rode the jeepney, and the tricycle once again, not just for the nostalgic feel, but that’s the only way of transportation where I needed to go. I also visited places that have been a fond memory of my youth, like the Rizal Park or also known as Luneta. (See previous post about Luneta here.) Here’s the new dancing fountain of Luneta. Even the more than 400 year-old university where I spent my college and medical school years looks different. 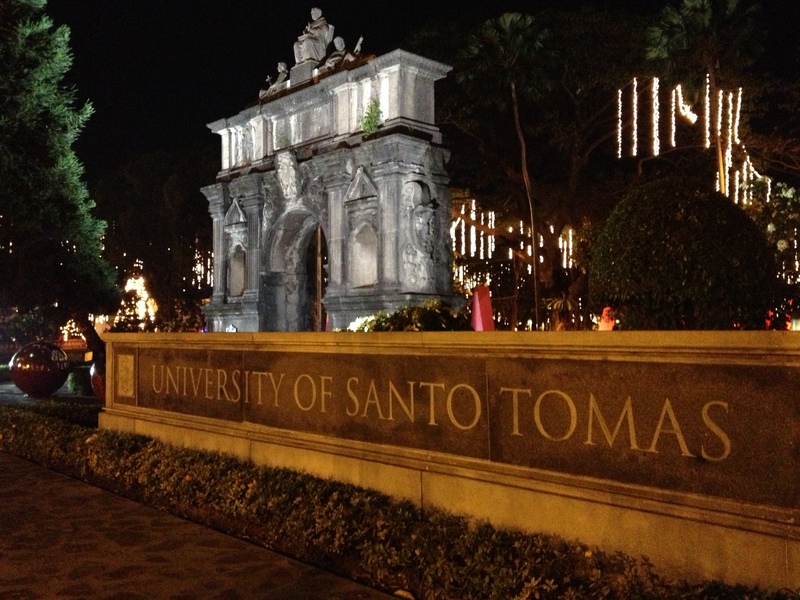 Here’s the “new” look of the University of Santo Tomas. 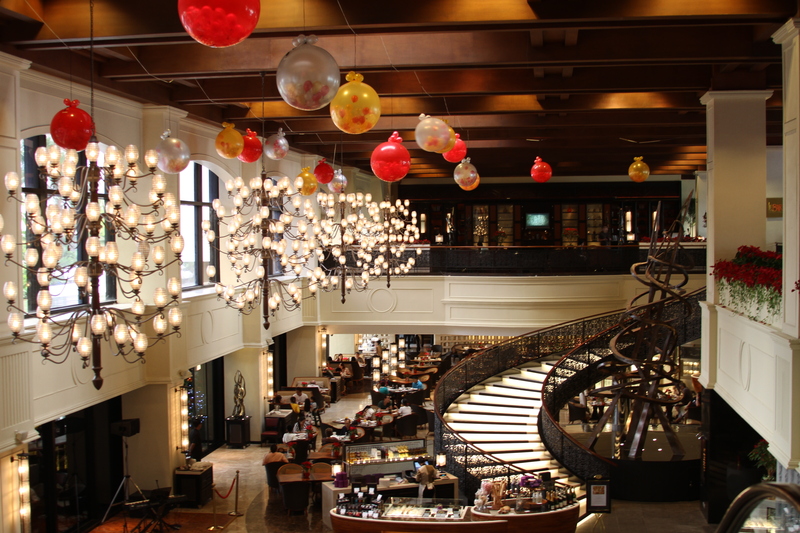 With all the new swanky shopping malls and eateries, there are even places in the metro that are pictures of opulence. Here’s a nice restaurant where my classmate from high school brought my wife and I out. Even old establishments have been updated and improved. 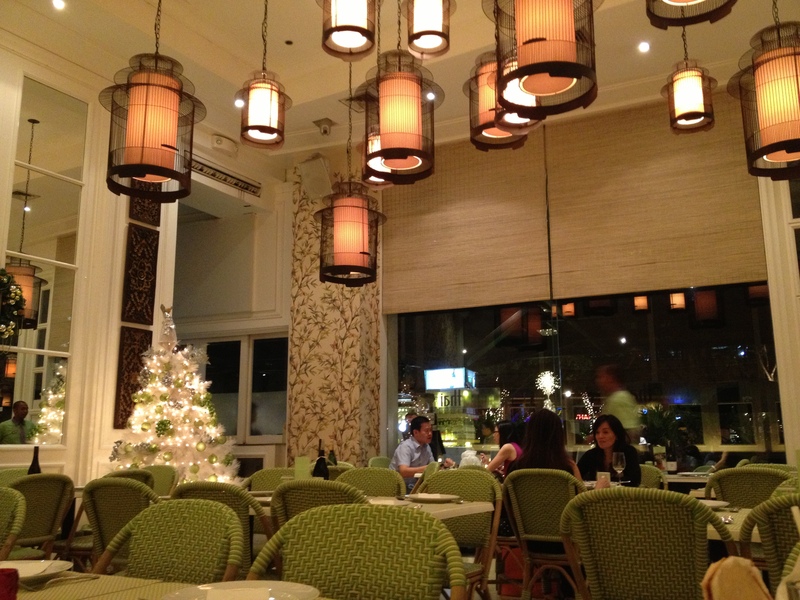 Here is the lobby of the Sofitel Manila, which was used to be known as Philippine Plaza. It was in one of the ballrooms of this hotel that was converted into a testing center, where I took the United States Medical Licensure Exam (USMLE), about 20 years ago. Passing it was my ticket in obtaining post-graduate training in the US. With the seeming images of changes, progress, and even luxury, it is hard to ignore the solemn part, that some facts have never changed. Like the state of the poor in the city. Here is a scene I used to know, and sadly to say, still very much exists. If you note, the shanties are quite a stark contrast to the tall buildings in the distance in this photo. Among all the changes that I have seen, there is one thing that has not changed for me. Even after years of living abroad, Manila will always be considered my home, for here is where my heart is. 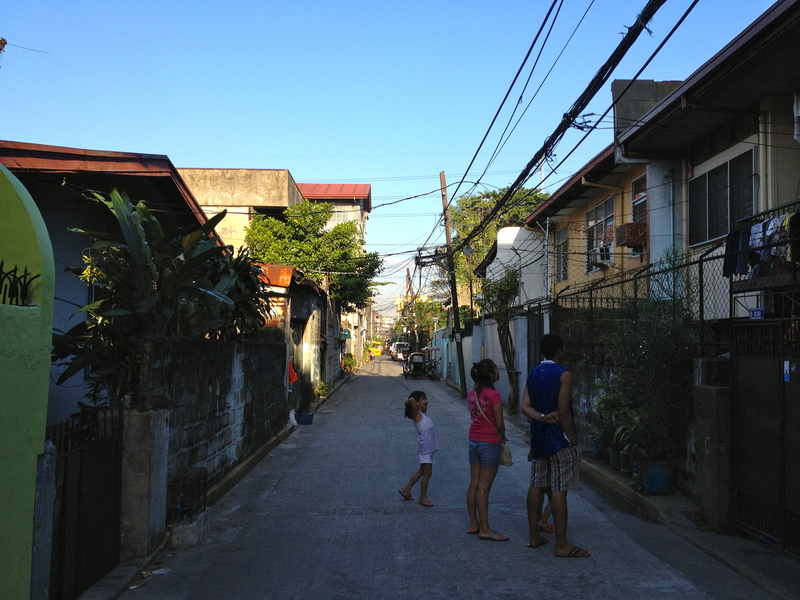 Here is the paramount image of Manila for me: the street where I grew up in. This is where the dream started. I may have lived in many places after I left the city, and I don’t know where else will this life’s journey will take me, but I will always be the boy from Manila. I’m not from Manila but this post is reminiscent of the time I stayed there. The images are nostalgic as much as they are picturesque. Thanks for sharing! Thanks for stopping by. I hope Manila has been good to you as it has been to me. mmm… I love this. 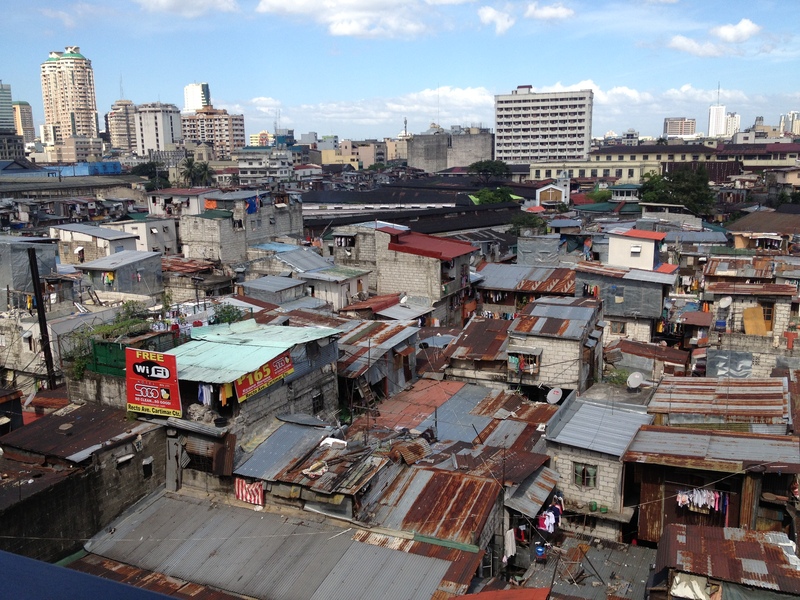 As an American living in Manila, I am familiar with much of what you are talking about and really love your pictures of the city. They accurately capture much of what I feel here – the tension between development and poverty, pollution and preservation and the ever tricky topic of transportation… Thanks! Thanks for stopping by and for your comments. Whatever brought you to Manila, I hope that the city will be good to you, as it was to me. It’s great you feel this way about Manila. I agree it is quickly changing. I don’t recognize many streets anymore. Exactly! When we were driving Roxas Boulevard, I was looking for the ocean, but the ocean was nowhere to be found! A beautiful nostalgic tribute to a place that gave us so much wonderful memories. Regardless of the negative image the media gives about Manila, it has a charm like no others. The people we meet, the places we go, the food….totally amazing. We need to appreciate what is good and honestly, the Philippines have so much to offer that I now miss in America. ” However, being away for long, those images of the city when I was growing up, may not be the same anymore.” I hope when I retire one day, I will find glimpse of my past although can’t blame progress if it change everything that was familiar.